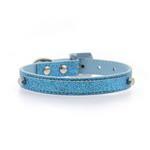 Add some bling to your darling pup in this designer Parisian Pet Paillette Dog Collar in Blue! 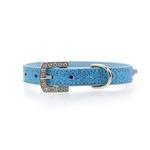 Designed to stand out from afar, this personalized paillette dog collar will add bling and style to any pup's outfit! 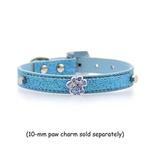 The PU leather material is covered in glittering paillettes, while the extra slide letters and charms add even more sparkle to the design with gleaming rhinestones. 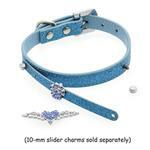 Available in four colors, pink, blue, purple, and silver, this collar is made in three sizes that will suit small breeds perfectly. 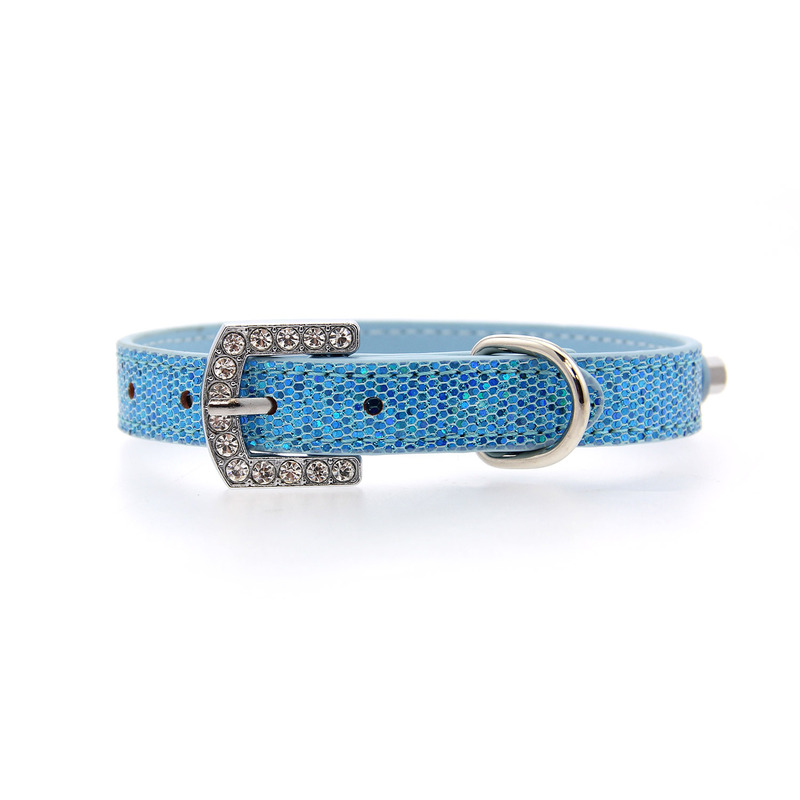 Easy to personalize to spell a dog's name, these customized paillette dog collars will be surely loved by many pet owners. 10MM slider charms and letters sold separately. I love this blue with the lettering it's very prey with the blind letters also the 2nd strap screws in with makes it better. Thank you! What a great inventory. And, I really appreciate the "email" when an item you were out of becomes avail, especially with the 10% discount attached. Really looking forward to shopping with you guys :) I have a brand new, puppy chihuahua and, I'm apparently going nuts over him <3 He is quite the character and the baby of (6) dogs. We just began documenting their stories on IG under six_pack_in_a_single_wide. Looking Much forward to sharing pics of Joey in your apparel!